As with last year, the Experimenta Avant-Garde Weekend will present a concentrated, international programme of artists’ film and video. It is a unique opportunity to survey some of the most original and vital works made around the world in recent years, and our only annual chance to do so on such a scale in England. This year’s festival includes new films by old masters such as Bruce Conner, Peter Kubelka and Jonas Mekas, alongside work by younger artists including Michaela Grill, Julie Murray and Emily Richardson. There is an opportunity to discover the work of forgotten pioneer José Val del Omar, and featured artist Nathaniel Dorsky will present a lecture to introduce his exquisite silent films. All the mixed programmes plus selected features will be shown over the two-day period, and several of the filmmakers will be present to discuss their work. Outside of the weekend, the festival also features screenings of Jennifer Reeves’ feature The Time We Killed, Gianikian & Ricci Lucchi’s Oh, Uomo, both versions of Straub / Huillet’s Une Visite au Louvre and a newly preserved print of Shirley Clarke’s Portrait of Jason. fordbrothers explode the visual field as a strangely familiar, but unidentified, voice rails against computer technology and modern society. An aria for 3D modelling, transformed and decomposed using the cultural filters of opera and heavy metal. 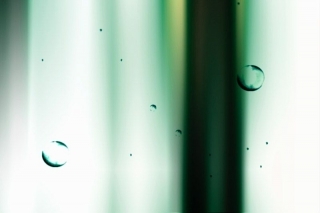 Effervescent digital animation of vapours and particles. Minimal is maximal. A synaesthestic composition in black, white and grey. Bleached out bliss of dripping colour fields. Endless late night cable television sports programmes, remixed into deep space: from inanity to infinity. Alice longs for a more exciting life away from Victorian England, but is she ready for the Society of the Spectacle? Conventional animation is subverted to tell the strange tale of Alice and the Situationists. A volley of rapid visual associations from the mind of Robert Breer, animating collage, drawings and snapshots in a playful, but rigorous manner. What goes up must come down. In short bursts and single frames, memories of European journeys rush by like landscapes through train windows. This ebullient album of previously unseen footage contains songs of Assisi, Avila, Moscow, Stockholm and Italy. An intimate journal featuring the film-maker’s family in their daily life, contrasted with audio recorded at one of Hermann Nitsch’s actions in his Austrian castle. Despite their diverse sources, the sound and image weave a tangled spell around each other. The Meditations series comes home for a journey through New York, viewed as a place of immigration and displacement. The urban environment, shot mostly at night in ecstatic black-and-white, becomes an almost exotic locale. Fenz’s incandescent cinematography reveals images of great beauty and compassion on the sidewalks and subway, as the film subtly shifts from anonymous street scenes into a sensitive portrait of jazz legend Marion Brown, who reminisces on his life and career as he convalesces in hospital. Public Lighting is a meditation on photography and the creation of images that can capture, replace and outlive our experiences. 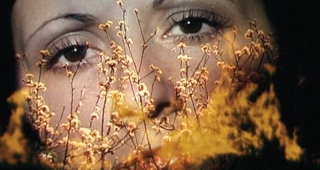 It’s a videofilm in seven parts, related in both subject and sentiment to the wonderful Imitations of Life, which screened in last year’s festival. Each chapter is a case study of the different types of personality that have been identified by the young author who guides us through the prologue. The first, a gay male, takes us on a tour of the bars and restaurants where his affairs have ended, recounting ironic stories of his many lovers. An homage to composer Philip Glass is incongruously followed by ‘Hey Madonna’, a confessional letter to the singer from a fan who is HIV positive. Amy celebrates another birthday, but concedes that she has lost her memory to television. At least she has a camera: ‘I take pictures not to help me remember, but to record my forgetting.’ Hiro lives life at a distance, rarely venturing out beyond the lens, and an anxious young model recounts poignant events from her past. Few film-makers use re-appropriated footage in such an emotive way: At once humorous and incisive, these chains of images inevitably lead us back to parts of ourselves. Hoolboom’s recent work is in such profound sympathy with the human condition that it speaks directly to our hearts. “Mike Hoolboom puts together some disparate clips, some beautiful images and hesitant shots from family, fiction, reality archive and advertising films (the Japanese advertisement for an all-purpose cleaning fabric is hilarious). Some images have been found or borrowed while others are original and have been shot for the purposes of the film. In the images there are also words, uttered in short sentences, and the voices of men and women. But this is only half the story. The filmmaker uses a dual approach to images and sounds to construct his unique universe. On the one hand, he gives them depth by slowdown effects, fade-ins and fade-outs, solarization, intermingling of visuals and sound in a complex dramatisation relationship. Public Lighting thus consists of strong images that show us the ages of history, its moments of grandeur and shame, touching on the public and private spheres, mingling show-biz and intimacy. An image in a Hoolboom film is always multiple, a confusing palimpsest that is embedded at a certain point in a different image, a pagan icon that keeps trace of the movement of a body, the expression of a face, the inflection of a voice. On the other hand, although this magnificently impure film is based on a very elaborate editing rhetoric, its profound movement leads to uninterrupted mediation. An animated imagining of Arthurian romance based on Gustav Doré’s engraved illustrations for Tennyson’s ‘Idylls of the Kings’, accompanied by the music of Mahler’s ‘Resurrection Symphony’. Mysterious events unfold in a potting shed … A jewel of found footage, mysterious and profound beyond its imagery, and with an almost deafening aural presence, despite its lack of soundtrack. An introspective work that obliquely measures the fragility of life against boundless forces of nature, such as Alaskan ice floes, the Aurora Borealis and magnetic storms. In cinema, as in anthropological study, the ready-made can reveal some of the fundamental ‘poetry and truth’ of our lives. Kubelka has unearthed sequences of discarded takes from advertising and presents them, almost untouched, as documents that unwittingly offer valuable and humorous insights into the human condition. Like Fisher’s film, Sueoka’s video also uses cutaways, but this time the shots are from 60s spy dramas, and retain their soundtracks. Stroboscopically cut together, it becomes a strange brew, like mixing The Man from U.N.C.L.E with Paul Sharits’ T,O,U,C,H,I,N,G. In 1967 Bruce Conner visited Dennis Hopper, Paul Newman and others on the set of Cool Hand Luke and shot a rarely seen roll of silent 8mm film of the production. Almost forty years later, he has returned to this footage and presents it at three frames per second, creating an almost elegiac record of that time. Patrick Gleeson, Conner’s collaborator on several previous films, has prepared an original soundtrack for this new work. 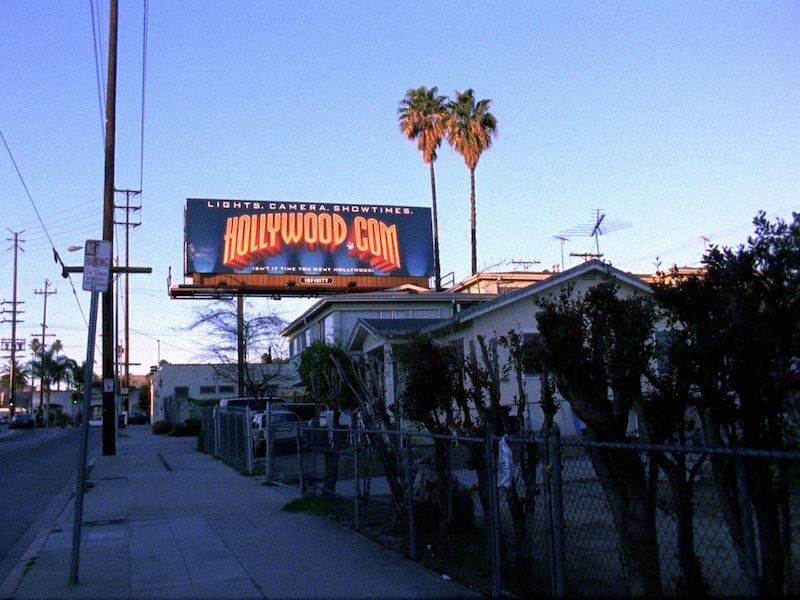 Most movies are intended to transform documentary into fiction; Thom Andersen’s heady and provocative Los Angeles Plays Itself has the opposite agenda. This nearly three-hour “city symphony in reverse” analyses the way that Los Angeles has been represented in the movies. Andersen, who teaches at Cal Arts, is the author of two previous, highly original film-historical documentaries – Eadweard Muybridge, Zoopraxographer and Red Hollywood (made with theoretician Noël Burch). A manifesto as well as a monument, Los Angeles Plays Itself has its origins in a clip lecture that Andersen originally “intended for locals only,” but as finished, it is an essay in film form with near-universal interest and a remarkable degree of synthesis. If Andersen’s dense montage and noirish, world-weary voice-over owe a bit to Mark Rappaport’s VCRchaeological digs, his methodology recalls the literary chapters in Mike Davis’s Los Angeles books City of Quartz and Ecology of Fear; no less than Pat O’Neill in The Decay of Fiction, but in a completely different fashion, he has found a way to turn Hollywood history to his own ends. Digressive if not quite free-associational in his narrative, Andersen begins by detailing the effect that Hollywood has had on the world’s most photographed city – a metropolis where motels or McDonald’s might be constructed to serve as sets and “a place can become a historic landmark because it was once a movie location.” Andersen is steeped in Los Angeles architecture as well as motion pictures, and his thinking is habitually dialectical – the Spanish Revival house in Double Indemnity, which Andersen admires, turns up as another sort of signifier in L.A. Confidential, the movie that inspired his critique (not least because Andersen has the same irritated disdain for the nickname “L.A.” that San Franciscans have for “Frisco”). With a complex nostalgia for the old Los Angeles and a far-ranging knowledge of its indigenous cinema, Andersen draws on avant-garde and exploitation films as well as studio products. In his first section, “The City as Background,” he wonders why the city’s modern architecture is typically associated with gangsters. (Producers may actually live in these houses, but, as is often the case in Hollywood, “conventional ideology trumps personal conviction.”) Andersen ponders the guilty pleasure of destroying Los Angeles, but he’s most fond of those “literalist” films that preserve, however inadvertently, or at least recognise the city’s geography: Kiss Me Deadly (with its extensive shooting in lost Bunker Hill) and Rebel Without a Cause (in which locations are shot as though they were studio sets). 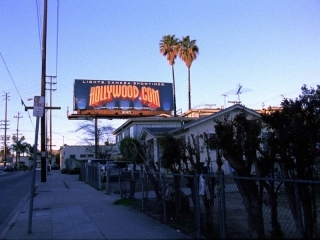 Andersen goes on to discuss Los Angeles as a “character,” beginning with the city’s transformation, by hard-boiled novelists Raymond Chandler and James M. Cain, into “the world capital of adultery and murder.” The movie’s latter half is devoted to Los Angeles as subject, starting with the self-conscious urban legend of Chinatown and considering other movies – Who Framed Roger Rabbit, L. A. Confidential – that provide the city’s imaginary secret history. A disquisition on the on-screen evolution of Los Angeles cops in the 1990s leads Andersen to the African American filmmakers Charles Burnett and Billy Woodberry, who, in their neo-neorealism, provide the antithesis of movie mystification and studio fakery. As an antidote to the frenetic pace and complexity of modern life, Nathaniel Dorsky’s films invite an audience to connect at a precious level of intimacy, nourishing both mind and spirit. His camera is drawn towards those transient moments of wonder that often pass unnoticed in daily life: jewelled refractions of sunlight on water, dappled shadows cast along the ground. The films are photographed, non-narrative and have none of the visual trickery we might associate with the avant-garde. Dorsky’s work achieves a sensitive balance between humanity, nature and the ethereal, weaving together lyrical statements in a rhythmic cadence that creates space for private reflection. The world floods through the lens, onto the screen and into our minds. In this lecture-screening of Variations (which provided the inspiration for the ‘most beautiful image’ sequence of American Beauty) and his new film Threnody, Dorsky discusses the qualities of cinema that attracted him to use the medium in such a poetic way, and will read from his recently published book ‘Devotional Cinema’. This is his first public appearance in the UK. Dorsky approaches each film as though it is a song, weaving together lyrical statements in a rhythmic cadence. His work achieves a sensitive balance between humanity, nature and the ethereal, creating space for private reflection. To accompany this screening of Variations and his new film Threnody, Nathaniel Dorsky will discuss the aspects of cinema that attracted him to use the medium in such a poetic way, to explore the inexpressible qualities of human life, and read from his recently published book ‘Devotional Cinema’. Though his work has been screened at major international museums, festivals and cinematheques, this is his first public appearance in the UK. Nathaniel Dorsky lives in San Francisco, where he makes a living as a professional ‘film doctor’, editing documentaries that often appear on American public television and the festival circuit. In 1967 he won an Emmy award for his photographic work on the CBS production ‘Gaugin in Tahiti: Search for Paradise’. He has been making personal films since 1964, and his works are in the permanent collections of the Museum of Modern Art (New York), Pacific Film Archives (Berkeley), Image Forum (Tokyo) and Centre Georges Pompidou (Paris). It is widely acknowledged that the ‘most beautiful image’ sequence – a plastic bag floating in the wind – from the Oscar winning feature American Beauty was directly inspired by a similar shot from Dorsky’s film Variations. José Val del Omar (1904-82), one of the pioneers of European avant-garde film, remains virtually unknown outside of Spain. His visionary Triptico Elemental de España (1953-61) embodies the soul, landscape and diverse cultural mix of his Andalucian homeland, connecting life on our planet with the elementary forces of the universe. Using material shot by the film-maker between 1968-82, Eugeni Bonet has assembled Throw Your Watch to the Water, whose images, ranging from documentary to complete abstraction, mark the passage from the earthly world to a transcendental plane. The film opens in the Alhambra, detailing the intricate Moorish architecture, pulsing fountains and activities of the local people. The ancient citadel, at first serene and regal, is overrun by the transparent bodies of tourists, whilst the ‘videoterrorifico mirror’ of television reflects the frenzy of modern media. Val del Omar envisaged a ‘cinematic vibration’ that would be the vertex of his life’s work, and this film, in which images and thoughts flow free of time, is a meta-mystical allegory that seeks a unity between the spiritual realm, the ancient world and contemporary life. Despite a circle of admirers that includes the directors Chris Marker and Victor Erice, José Val del Omar (1904-1982), one of the pioneers of European avant-garde film, remains virtually unknown. In pursuing his dream for a cinema for all the senses he made numerous technical innovations and discoveries, and patented designs for cinematic surround sound, wide-screen projection and special lenses years before they became commonplace. His career began in the 1920s with dozens of ethnographic films made for the Misiones Pedagógicas. Focusing on the impoverished regions of Spain, the surviving examples are reminiscent of the stark, early documentaries of Luis Buñuel. Throughout the 1950s he worked on the Triptico Elemental de España, consisting of three short 35mm films that each characterised one of the elements: water (Aguaespejo granadino, 1953-55), fire (Fuego en Castilla, 1958-60) and earth (Acariño galaico, 1961). Val del Omar was fundamentally connected to the soul, landscape and culture of his Andalucian homeland, and these films embody its diverse cultural history, referencing Christian and Islamic beliefs, and the connections between life on our planet and the universal whole. 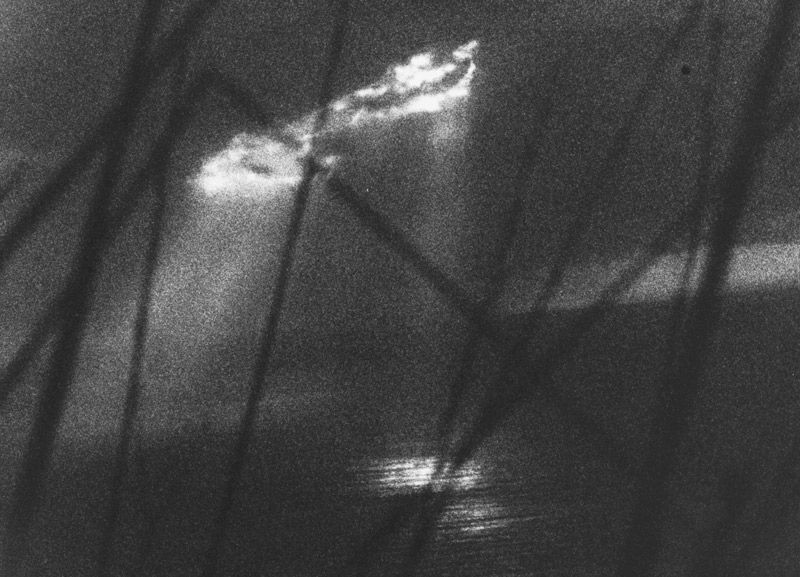 There are some similarities with the trance films of Anger, Brahage, Deren and Markopoulos, though Val del Omar’s methods are overtly mystical and cosmic. Throw Your Watch to the Water has been assembled by Eugeni Bonet, working with the Archivo María José Val del Omar and Gonzalo Sáenz de Buruaga, to realise a work that occupied the film-maker for decades up until his sudden death in a car accident. The film is set in Granada, an extraordinary location where east meets west. It opens with footage of the Alhambra and its surroundings, detailing the extraordinary Moorish architecture and intricate decoration, the pulsing water of its fountains and the activities of the local people. The ancient citadel, shown at first serene and regal, is later overrun by the transparent bodies of tourists, while the ‘videoterrorifico mirror’ of television reflects the frenzy of modern media. These ‘variations on an intuited cinegraphy’ have been created entirely from material shot by Val del Omar between 1968-82. The newly commissioned atmospheric score is punctuated by his poetic declarations which invite comparison with both Federico García Lorca and Sun Ra. Val del Omar envisaged a “cinematic vibration” that would be the vertex of his life’s work, a development and elaboration of the ‘Elementary Triptych’ in which he first presented his radical cinematic visions. The passage of images, which ranges from documentary to complete abstraction, is exquisitely photographed in lush colours and tonal monochromes. Delirious visual sequences mark the passage from the earthly world to a transcendental plane. The film is a meta-mystical allegory of life, death and rebirth led by the elementary forces of the universe, seeking unity between the spiritual realm, the ancient world and contemporary life, where images and thoughts flow free of time. Reflections and refractions of light, alternated in hard, optical flicker and gliding dissolves. A time-lapse chronicle of the modulation of natural light, from high above the canopy of trees to the filtered rays on the forest floor. 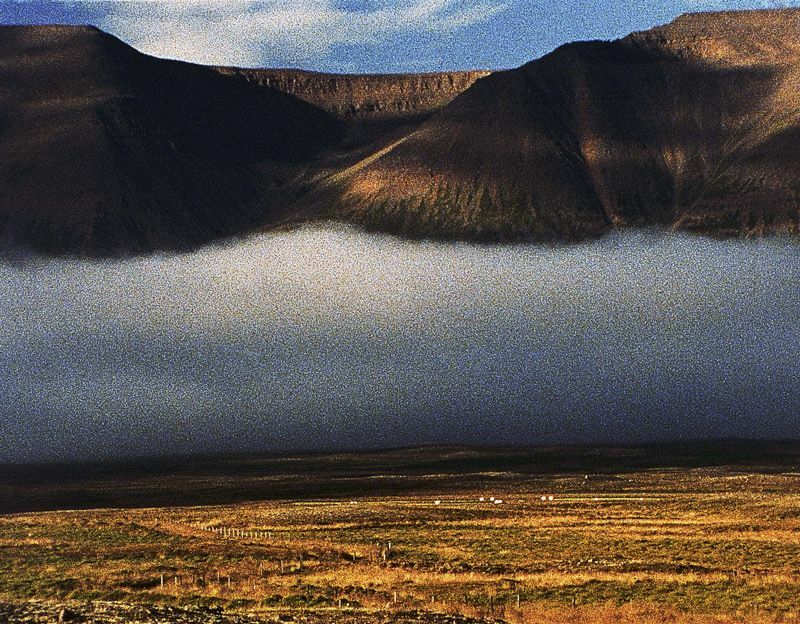 Photographic study of the mists, clouds and extraordinary landscapes of the mysterious land of the sagas. 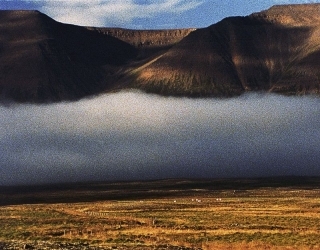 Peter Hutton has fixed his camera on the awesome panoramas of Iceland and created a monumental film, which records the subtle luminosity of the region and its dramatic atmospheric conditions. The meandering flow of china ink, suspended in water, opens up a microcosmic world of Brownian motion. An abstract, computer-generated work produced by using mathematical formulae to create complex interference patterns in colour tinted layers. This new video is a surprising departure for Reble, who is best known for his alchemical treatment of celluloid. Digitally processed, it transforms shots of the arctic landscape, drawn from education films and travelogues, into a virtual fantasy world illuminated by the hallucinatory half-light of evening. 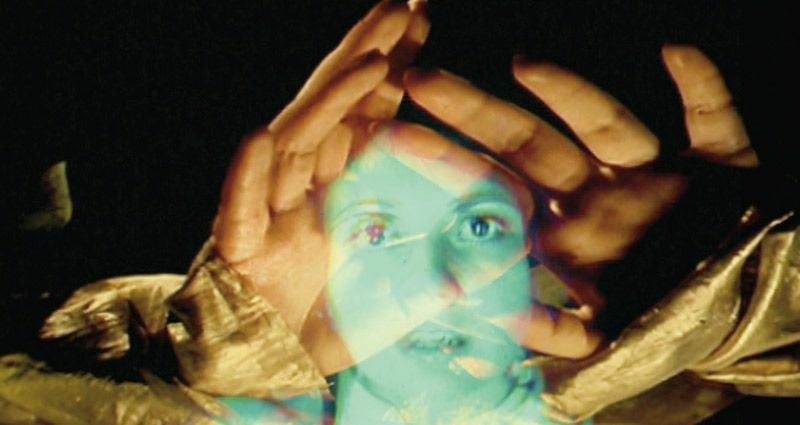 EXPERIMENTA brings a selection of artists’ films and videos from the 2004 London Film Festival direct to your hometown. The touring programme presents two features which each take unique and original approaches to the documentary genre and two programmes of short film and video works. Two additional screenings offer key works from previous years. Los Angeles Plays Itself is Thom Andersen’s extraordinary essay on the way that the city of Los Angeles, and particularly its architecture, has been represented in the movies. It’s a long film, but it’s a big city. 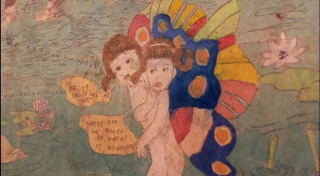 Jessica Yu’s In the Realms of the Unreal tells the bizarre story of outsider artist Henry Darger, who worked in isolation on a 15,000 page fantasy in which seven young girls battle to save children from the evil Glandelinians. Darger’s incredible, and unsettling, illustrations are brought to life by animation as the film explores the mysterious individual that created them. The video programme features works that manipulate found or archival footage, together with those in which the images have been entirely created by digital means. At the edge of technology, fordbrothers exploit the digital artefacts that occur during file compression. Nuée and Kilvo also explore the transformative qualities of computer processing but retain organic textures. T:O:U:C:H:O:F:E:V:I:L and SET-4 employ material from kitsch 60s thrillers and endless late night sports tv, whilst Luke is a hypnotic treatment material shot by Bruce Conner on the set of Cool Hand Luke in 1967. Finally, Alice in Wonderland or Who is Guy Debord? presents the Disney favourite as you have never heard it before: entertaining, amusing and utterly subversive. 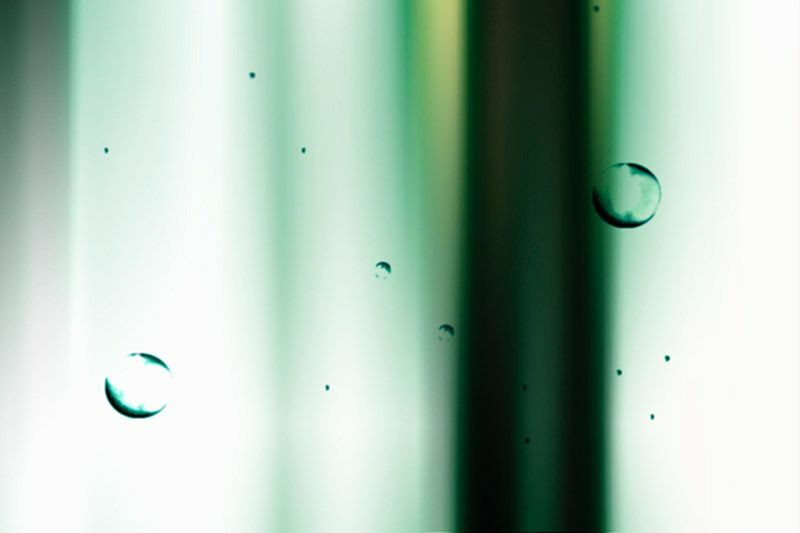 In the film programme, magnificent new works by old masters Robert Breer and Peter Kubelka are shown alongside younger and less well-known artists, including Emily Richardson’s time-lapse film of natural light, Yuiko Matsumaya’s abstract meditation of liquid particles and Julie Murray’s disturbing use of found footage. The final instalment of Robert Fenz’s Meditations on Revolution is an iridescent document of night time New York streets, mixed with a biographical portrait of jazz musician Marion Brown. Nathaniel Dorsky was a featured guest at the LFF in 2004, presenting an inspiring lecture on “Devotional Cinema” (the title of his recent book). His exquisite silent films, of which Threnody is the most recent, are profound observations of the wonder of everyday life. The spirit of Stan Brakhage is present in two of the works in this collection: on the soundtrack of Preserving Cultural Traditions he expresses his misgivings about computers, and Dorsky’s Threnody, is dedicated to his recently departed friend. To acknowledge the unparalleled work of this important artist, who died in 2003, the London Film Festival is proud to present a memorial programme of key works made in the last years of his life, including The God of Day Had Gone Down Upon Him. A second retrospective programme features a 2002 video by the painter Alfred Leslie, whose first film Pull My Daisy (made in collaboration with Robert Frank) is one of the essential works of early personal cinema. The Cedar Bar juxtaposes enlightening found footage with a reading of Leslie’s 1952 play, which depicts real and imaginary events at the legendary tavern where the Abstract Expressionists slugged drinks and each other. The London Film Festival is a showcase that presents the most exciting and innovative cinema in the world, where you can expect to see avant-garde film and innovative new media showing alongside the latest art house features and Hollywood blockbusters. As one of the main strands of the festival, Experimenta gathers together works shown at international film festivals, museum and galleries, together with new discoveries and world premieres by established and emerging artists, film and video makers. Experimenta is an international programme that celebrates and promotes artists’ moving image works in film and video. It’s a place in the festival for personal expression, featuring work that is created away from or in spite of the commercial system. Experimenta encompasses experimental, documentary, narrative, animated and abstract work, but when cinema is truly expressive and elevated, such awkward categories become meaningless and language inadequate. Selections from these programmes screened at Bristol Arnolfini, Edinburgh Filmhouse, Glasgow Film Theatre, Leeds Film Quarter, Liverpool FACT, London Greenwich Picturehouse, London ICA, Manchester Cornerhouse, Newcastle Side Cinema, Nottingham Broadway and Sheffield Showroom.